If you’ve been online at any point during the last five years or so, then chances are you’ve seen photos, memes, and even products reflecting the Grumpy Cat phenomenon. If you’ve been online at any point during the last five years or so, then chances are you’ve seen photos, memes, and even products reflecting the Grumpy Cat phenomenon. 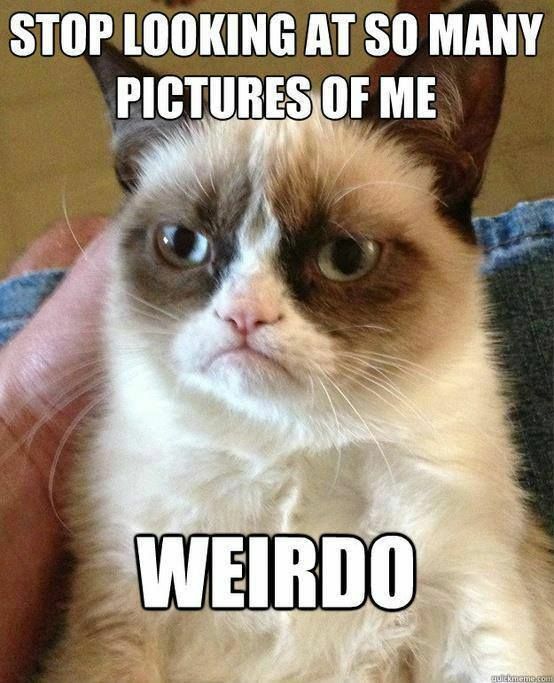 Grumpy Cat, a cat with a totally unique – and very unhappy – facial expression took off like wildfire, quickly gaining internet stardom. Her owners decided to capitalize on her popularity, forming Grumpy Cat LLC. Grumpy Cat LLC included Grumpy Cat’s image on product lines, generating income. They partnered with Grenade Beverage of California to create “Grumppuccino,” an iced coffee drink. Grumppuccino was initially successful, but then Grenade Beverage started producing other products with Grumpy Cat’s photo, and things turned sour. Grumpy Cat LLC took the beverage company to court last year for selling these unlicensed products. Since Grenade Beverage has not responded, Grumpy Cat LLC has submitted a motion requesting a default judgement. Grumpy Cat LLC states that four of their copyrights have been infringed upon, and requests $600,000 in damages. While we don’t know just how this will pan out, one thing is for certain – don’t mess with Grumpy Cat!